Nova Events: December 13 – January 16 | Dexless, Maplestory Guides and More! Get ready to unlock great rewards! More Nova-themed events are available now! Create your Illium character early, level up, earn rewards, and more! Prepare for new character Illium by creating it now! You’ll receive great rewards when Illium is officially released on December 20. As long as you have one character on your account Lv. 33 or above, you can pre-create one Illium character now (one character can be pre-created per account). Rewards will be distributed after the maintenance on December 21. Check out the amazing gifts you can receive! The four gift boxes can be traded within your account, and must be opened before December 27 at 3:59 PM PST / 6:59 PM EST / 12:59 AM CET (December 28) / 10:59 AM AEDT (December 28). 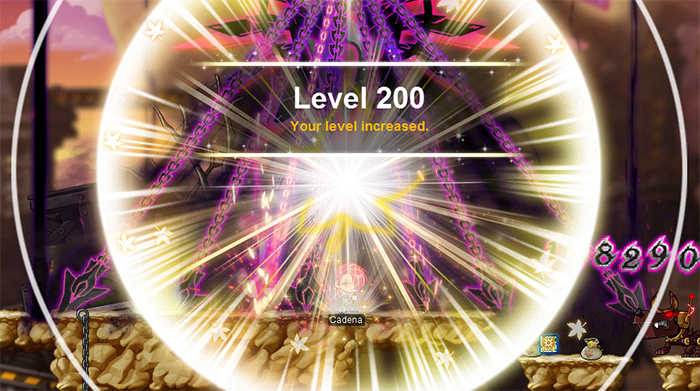 Mini Miyo Coupon: Untradeable. 3-day duration. Use to receive a 90-day Mini Miyo pet. 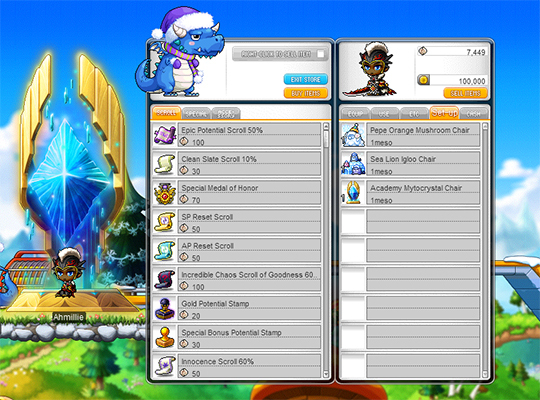 Mini Miyo Pet Equipment Coupon: Untradeable. 3-day duration. Use to receive a Mini Miyo Hologram. Premium Water of Life x3 Coupon: Untradeable. 3-day duration. Use to receive three Premium Water of Life items. White Duck Pet Coupon: Use to receive a 90-day White Duck pet. Skunk Pet Coupon: Use to receive a 90-day Skunk pet. Fennec Fox Pet Coupon: Use to receive a 90-day Fennec Fox pet. Scurvy Bird Pet Coupon: Use to receive a 90-day Scurvy Bird pet. Chunky Raccoon Pet Coupon: Use to receive a 90-day Chunky Raccoon pet. Shark Tank Pet Coupon: Use to receive a 90-day Shark pet. Triple Angel Pets Full Package: Use to receive 90-day Honey Angel, Lime Angel, and Peach Angel pets. Triple Roo-bot Pets Full Package: Use to receive 90-day Roo-A, Roo-B, and Roo-C pets. Triple Root Abyss Pets Full Package: Use to receive 90-day Crimson Queen, Von Bon, and Pierre pets. Permanent Triple Lucid Pets Full Package: Use to receive permanent Ebony Lucid, Powder Lucid, and Rose Lucid pets. Illium Damage Skin: Untradeable. 3-day duration. Legendary AbsoLab Weapon Box: Untradeable. 3-day duration. Legendary AbsoLab Hat Box: Untradeable. 3-day duration. Legendary AbsoLab Outfit Box: Untradeable. 3-day duration. Legendary AbsoLab Shoes Box: Untradeable. 3-day duration. Legendary AbsoLab Gloves Box: Untradeable. 3-day duration. Legendary AbsoLab Cape Box: Untradeable. 3-day duration. Legendary AbsoLab Shoulder Accessory Box: Untradeable. 3-day duration. Royal Face Coupon: Untradeable. 3-day duration. Royal Hair Coupon: Untradeable. 3-day duration. Hair Color Coupon (VIP): Untradeable. 3-day duration. Skin Coupon: Untradeable. 3-day duration. 500 Reward Points: Untradeable. 3-day duration. 3,000 Maple Point Coupon: Untradeable. 3-day duration. 30,000 Maple Point Coupon: Untradeable. 3-day duration. 50,000 Maple Point Coupon: Untradeable. 3-day duration. 100,000 Maple Point Coupon: Untradeable. 3-day duration. 500,000 Maple Point Coupon: Untradeable. 3-day duration. 1 Million Maple Point Coupon: Untradeable. 3-day duration. Level up faster than ever with the Mega Burning Project event! Create a brand-new character during the event period and select it to have the special “Burning” effect. After your character reaches Lv. 10, every time that character levels up it will gain an additional two levels all the way up to Lv. 150! This event is open to characters in both Reboot and non-Reboot worlds. Create a brand-new character during the event period. From the character select screen, choose the new character on your account to have the “Burning” effect. Please note that Cadena and Illium characters cannot participate in this event. 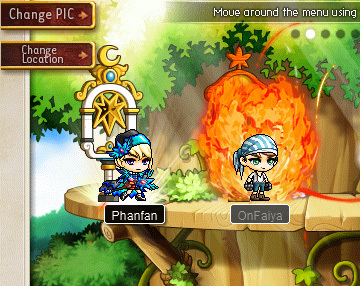 Only one character on your account can have the “Burning” effect. Log in with your character and select the quest ‘[Nova] 1+2 Level Up! Mega Burning Project!’ from the star event notifier on the left side of the screen. You will receive the following special gifts! Each time your character levels up, they will receive two additional levels! Work your way up to Lv. 150, so you can wear those sweet equips! Take your brand-new character and high-step it over to the Step Up event! Newly created characters Lv. 33 and above can begin by accepting the ‘[Nova] Nova Step Up Event!’ quest from the Step Up notifier on the left side of the screen. This event provides a steady stream of missions all the way to Lv. 205! 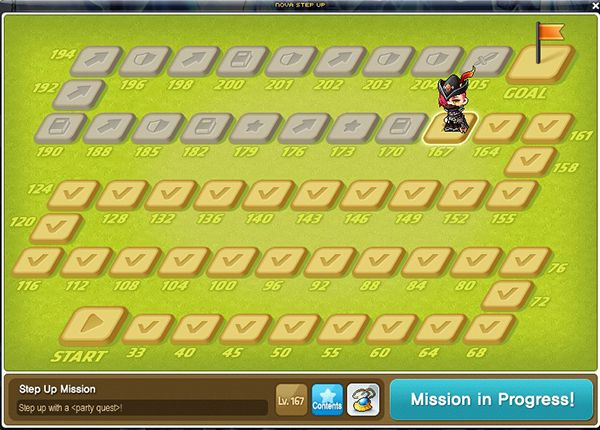 Complete each mission in order to move to the next one, and track your progress on the handy map. Hunt monsters, activate Runes, complete Monster Park and lots more! 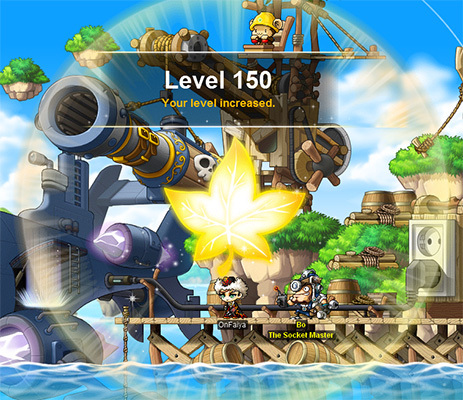 Go step-by-step through Maple World and you’ll earn rewards including equipment, restorative items, Safety Charms, 2x coupons, Potential items, Maple Specialist title, and more! Characters Lv. 100 and above can play together in the Hunter’s Arena event! Visit the waiting room by speaking to NPC Cassandra, or by accepting the quest ‘[Nova] Visit the Hunter's Arena!’ from the star event notifier on the left side of the screen. Once inside, you and up to 9 other players will be sent to a special area where you can hunt monsters. Pay 10 Nova Coins to create 500 monsters just for you! Each player sees their own monsters. When you take down these monsters, you’ll receive 120% EXP! 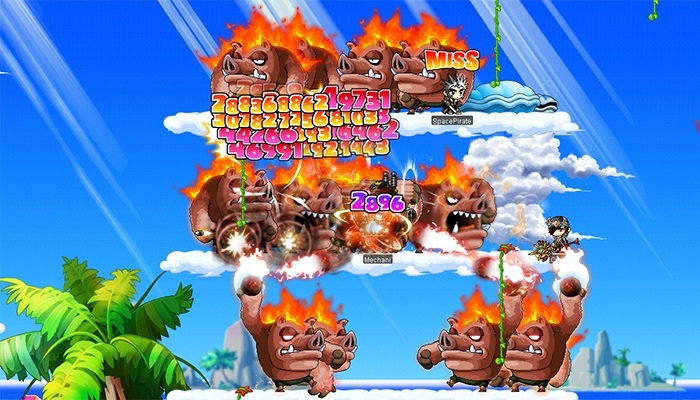 Your level range determines how many monsters you can create each day. Keep an eye out for Hunting Boost, which occurs every 30 minutes and triggers various stat buffs for all players at the top of the map! The Nova Coin Shop has been updated with some new rewards! Earn Nova Coins through events and take them to the Nova Coin Shop to exchange them for rewards! The Nova Coin Shop can be accessed through the star event notifier on the left side of the screen. Pick up exciting items including the Synergy Ring Coupon and accompanying Synergy Ring Cube. You can also pick up the Nova Random Damage Skin Box II, or individual damage skins such as Storm Cloud Damage Skin and Rainfall Damage Skin. 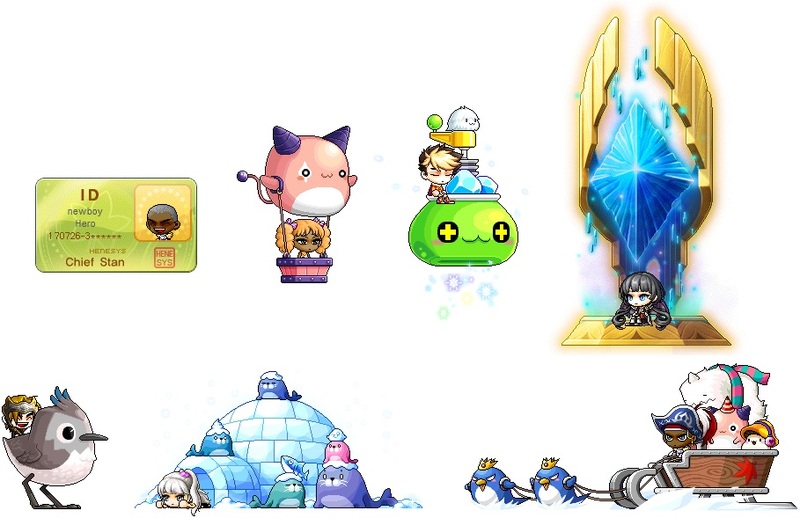 Grab some fun chairs and mounts including Sea Lion Igloo Chair, Academy Mytocrystal Chair, Henesys ID Card Chair, Sled Mount, Slime Snow Maker Mount, Baby Snipe Mount, and Pink Bean Balloon Mount. Grab a Kemdi Scarecrow Summoning Sack as well as Arcane Synbols! You can find Arcane Symbol: Vanishing Journey, Arcane Symbol: Chu Chu Island, Arcane Symbol: Lachelein, and Arcane Symbol: Arcana. Create an Illium character and level-up to get rewards! To begin, accept the quest ‘[Nova] Illium Boost Up! Try to get gifts.’ from the star event notifier on the left side of the screen. 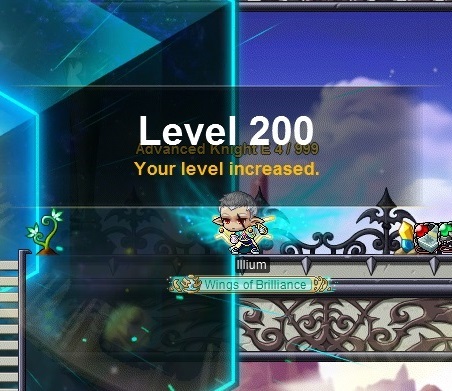 As you hit each leveling milestone, you’ll receive an Illium Booster Gift pack. This event can only be completed once per account.